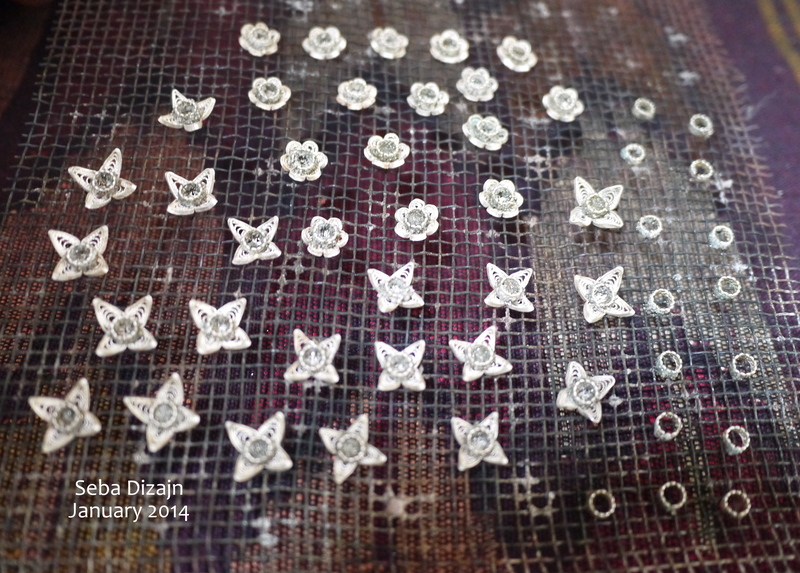 Our ‘non-shop’ season has been fairly full with creating new jewels for the 2014 season. There is an endless stream of ideas and never enough time to create all that we discuss. The earrings featured here are part of our ‘luxury’ collection – while we consider all of our work to be special each pair of these earrings took several days to complete. These photos highlight some of the many steps towards the final product. 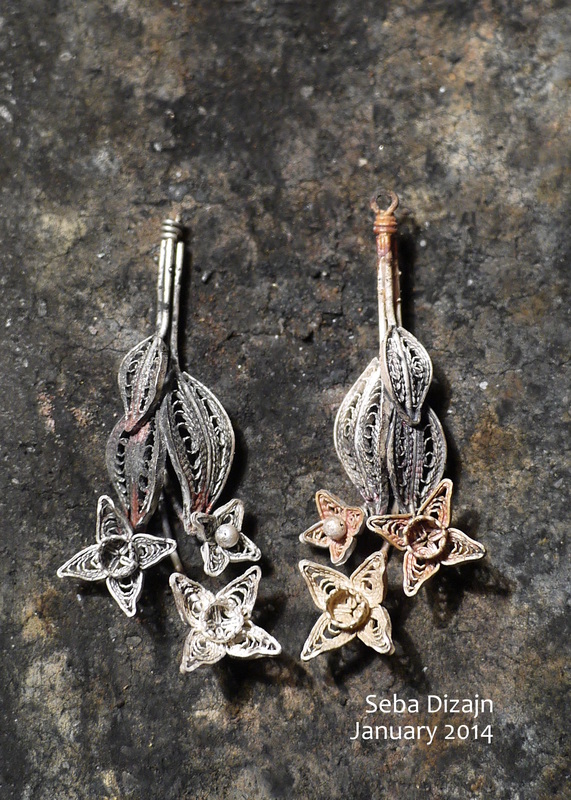 Here you can see some of the first pieces we created for the earrings featured below. In this photo we are ready to solder rings into the two different styles of flowers that you can see. The rings will hold small gemstones when the earrings are complete. 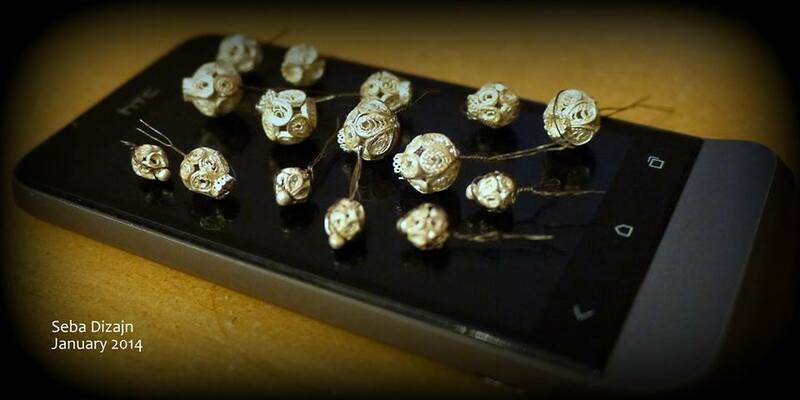 These beads will be used instead of flowers in the third of our trilogy. I took the photo above on my mobile phone to emphasis how small each bead is. Here they are tied together with wire, in the next step the bead halves will be soldered together and the wire will no longer be required. 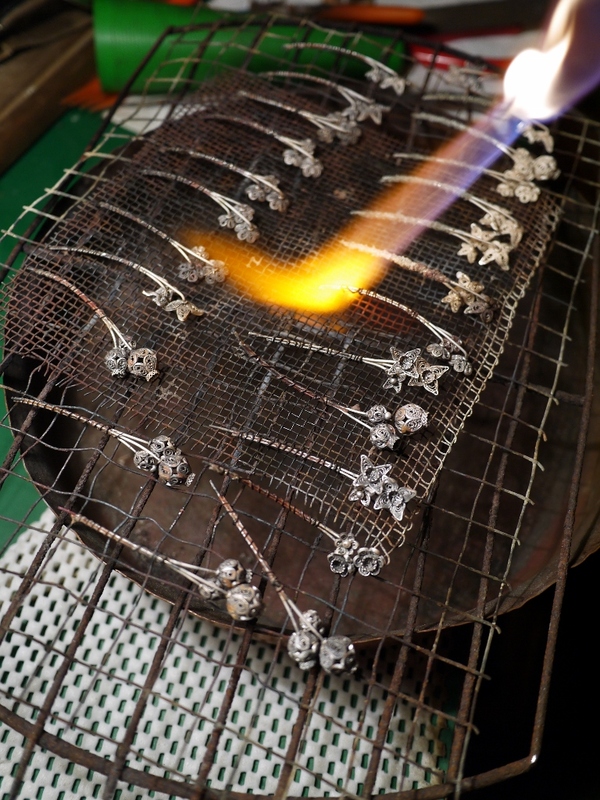 Here we are soldering the earring stems – you can see all three designs in the trilogy in this image. Design 1- trimmed and ready for final cleaning. The completed trilogy – (Seba Dizajn is the name of our Korcula store). 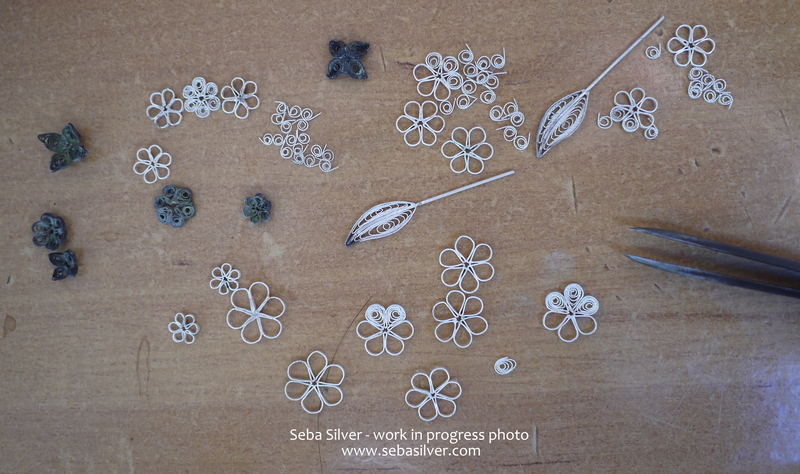 I hope you have enjoyed this short insight into the work that goes into creating our filigree jewellery. 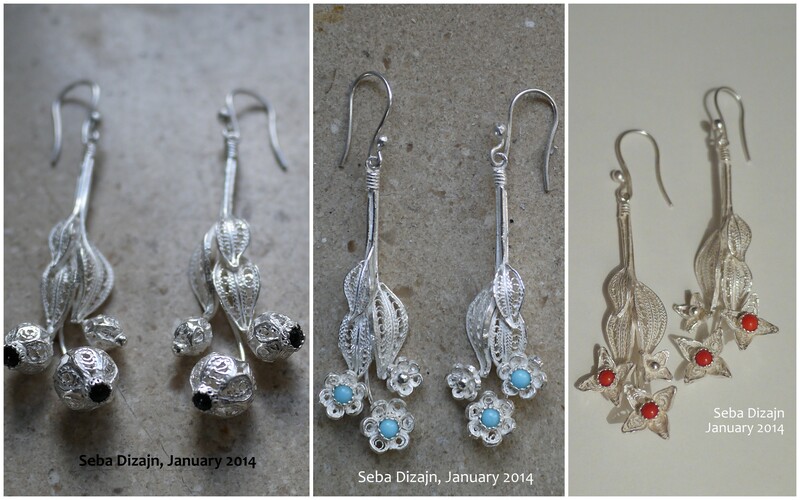 This entry was posted in Jewellery and tagged 2014 Collection, Croatia, earrings, filigree, gemstones, handmade, korcula, luxury, silver, soldering. Bookmark the permalink. Great to see the process and nd the finished products look great. Very attractive. Thanks Mary Lou, lovely to hear from you. Hope all well. Warm regards from Korcula.